What are your first semester of clinicals in nursing school like? That’s a great question that most nursing students ask. Nursing school clinicals are a great learning experience. They give you a taste of what nursing will be like and will help you realize if this is what you want to do with your life. In your first year of nursing school, you should get to experience clinicals for the first time. In these clinicals, you will probably be testing out your new nursing skills you have learned in lab class, such as full body assessment, giving shots, Foley catheter insertion, wound dressings changes, giving baths, taking vitals, implementing your nursing care plan, and medication administration. Most of these skills will have to be performed under the supervision of your instructor or a licensed RN or LPN. Also, during this time is where you learn how to communicate with a real patient with real problems unlike the ones you have encountered in your textbook projects or lab classes that are pretend. At first, you will be nervous because you feel like you don’t have enough experience and that you won’t know the answers to their questions. Tip- If the patient asks you a question that you don’t know don’t say “I don’t know, sorry”. Instead say that you will find out the answer for them and go to your instructor or staff and find out the answer. Overall, the first semester of clinicals in nursing school is to get you exposed to a hospital environment and real patients. 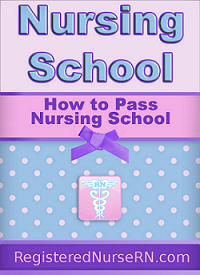 In addition, they will help you get to thinking like a nurse. It is amazing because almost all of the stuff you learn in lecture will be applied to your clinical setting. So pay attention in class! Enjoy your clinical experiences and take everything you are learning in because you will need it in the future.